If I asked that question at home, my children would probably yell, “Adventure Time!” At work, I ask myself that question all the time (no pun intended). 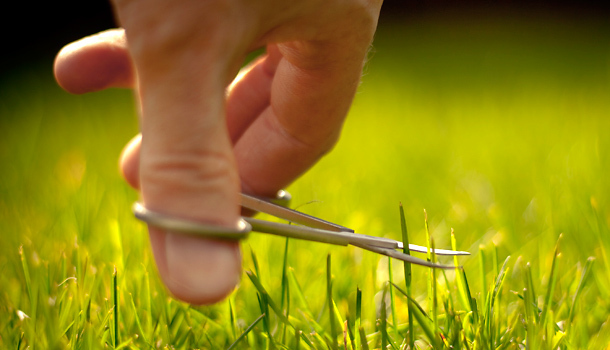 With the increasing demands on school leaders, I think that this post is timely (pun again). How do we spend our time? How do I manage my time? I have become reliant on my Outlook calendar. I have my calendar on my laptop, iPhone, iPad and anywhere else I need it. Someone asks me to do something or be somewhere, I usually whip out my iPhone to check my availability. I know I only have so much time (pun number ?). 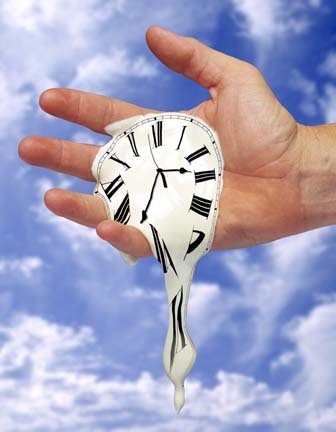 My PrincipalCast co-hosts and I just did a podcast on Time Management. Although the session was not recorded (due to technical glitches) we had an amazing discussion on technological breakthroughs that can assist educators with time management. In preparing for the show, I read a wonderful post by Tony Sinanis who ended up stopping by to chat. In Put What Matters First, Tony discusses how he “prioritizes” rather than “manages time.”He is student-centered and remains steadfast that students are first on his list of priorities! Jessica Johnson shared how she prioritizes her time. 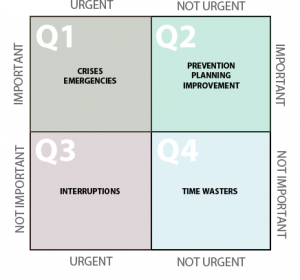 She uses the Four Quadrants of Time Management, a matrix popularized by Stephen Covey in his book 7 Habits of Highly Successful People. She also uses BILT (Before I leave today) to ensure she accomplishes her tasks before heading home. I shared one of my favorite books, Eat That Frog, by Brian Tracy. 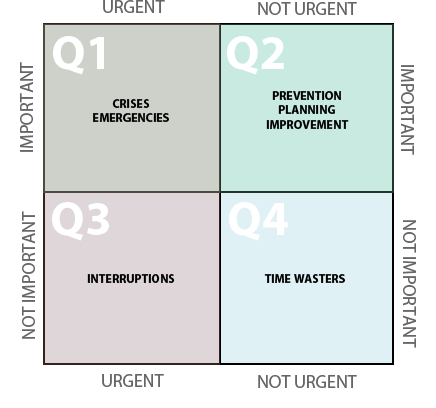 In the book, readers are provided with 21 time saving tips to make sure that priorities do not get out of control. Here is a video that illustrates the main tenets of the book. In my previous post The Importance of Showing Vulnerability, I discussed how I was not a fan of “know it alls” or folks who were not humble in their interaction with others. Someone who had read the blog asked me this question (which lead to this post), ” Spike, I understand the concept of showing vulnerability, but don’t people take advantage of that? Also, what if you really know something? Isn’t it important to speak up?” All great questions…. Although there is power in being vulnerable, it is very important to ensure that others do not take advantage. For instance, you are in a meeting and people are arguing over something, and you know that you could add insight… It’s important for you to take action! In many regards, actions speak louder than words. 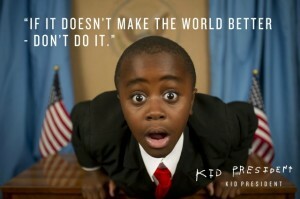 Turn questions or problems into action – Volunteer to get involved or to get a project started. 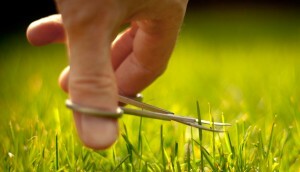 Sometimes it is hard to add things to you plate, but if helps you or your organization then you will ultimately benefit. Stand up for yourself when you feel others are being inappropriate – Know it alls, bullies and passive aggressive people are detrimental to organizations. Don’t let them speak for you or others. Use your resources – If you don’t know the answer, make sure to look it up. Ask trusted collegues for advice, research, plan and put something into action. 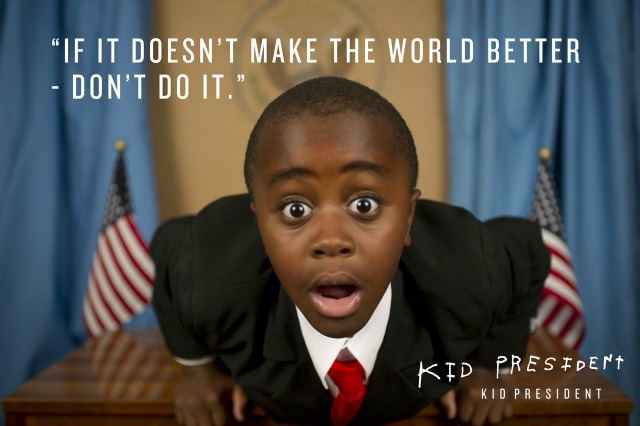 Actually, I think Kid President’s suggestions are better than mine…. Enjoy! You can find PrincipalCast on iTunes or on Stitcher/Beyond Pod for Android. 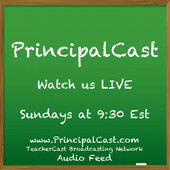 If you watch us live (Sundays at 8:30pm CST) on teachercast.tv you can also chat with us in the live chat box or using the twitter hashtag #principalcast. This Sunday we are inviting our first guest to the show and we are going all out by having Todd Whitaker join us. We are excited to talk to him about his newest book coming out this month, The Secret Solution. Do you have a question you want us to ask him? Share your question with us HERE. Do you know a “know-it-all?” You know, the person who always has an opinion, never listens, seen it all, knows so much information… I am quite sure that a “know-it-all” is lurking in your midst… I’m actually surprised that we still have “know-it-alls” because of the ever changing nature of information. I decided to do some research for this post (because I don’t know everything). 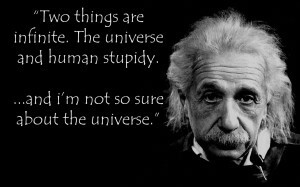 First, I wanted to see what the “great” minds had to say about this concept of knowledge. I like people who show their vulnerability. 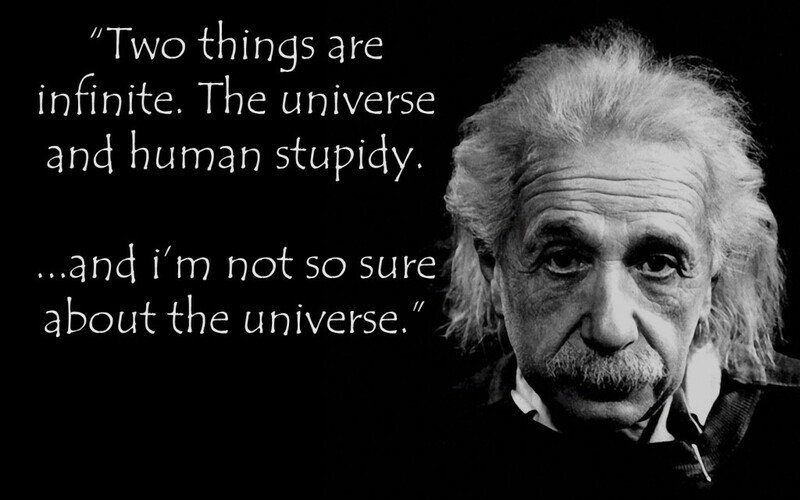 Sounds like the highly regarded minds thought the same thing. Then, I did some research to see how information (and the universe) is growing in the 21st century. According to the Worldwide Information Growth Ticker from the Digital Universe study revealed that we have created 1,987, 262, 613, 861, 770,000,000 bytes of information since January 2011! If you can keep up with all of that, good luck. My advice for dealing with others in the 21st century is simple. By doing this, you will end up learning much more, and resonating with people in a deeper way. And by the way, there is no way you know-it-all! 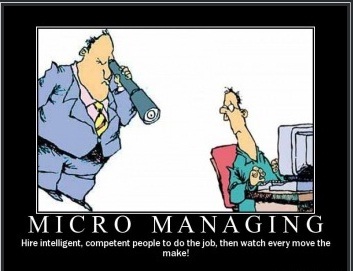 Over the past 10 or 15 years the message to administrators has been something like this…. Don’t be a manager, be a leader; stay in the balcony so you can see the orchestra; empower people and give them freedom to work… All sounds like great advice, but what happens when the results from the organization are not what you expect? Are teachers and administrators matching their espoused (what the say) with their theories-in-use (what they actually do)? These are the questions that I am wrestling with as an educational leader in the 21st century. So how will I lead differently? My plan this year is to pay more attention to the details. As I enter classrooms I will be looking, listening and interacting differently. I will be looking for standards-based instruction, listening for common language among grade levels and asking higher order questions of the staff and the students. I will be placing more emphasis on lesson plans and checking plans against the implementation of those plans. Are we doing what we say we are doing? 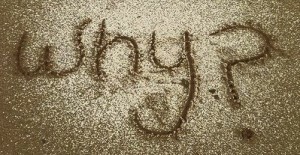 I want to know why more then ever.